Pack your bags and dig out your passport. 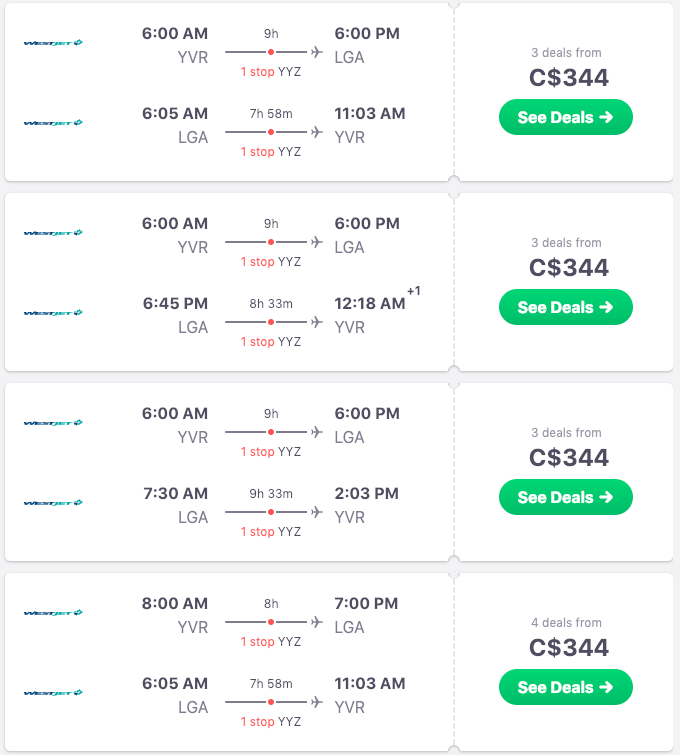 WestJet is holding a “Spring Getaway” sale and as a result, you can fly to New York for a fantastic price. 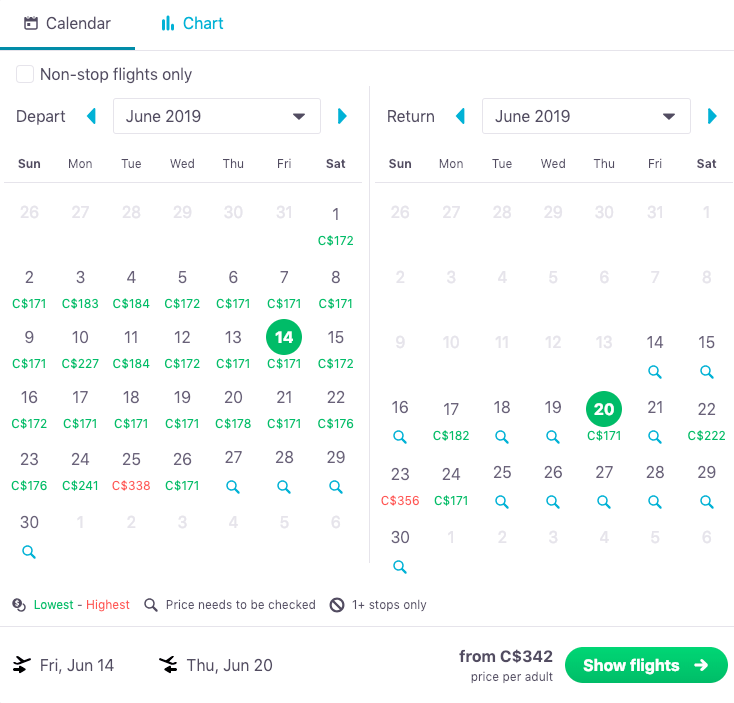 You can fly from Vancouver (YVR) to New York (LGA) for $344 roundtrip, with plenty of flight dates available during April, May, and June. Both the departure and return flight include one stop in Toronto and each leg of the trip is approximately eight and a half hours long. Although direct flights are also available, they can cost upwards of $470. To take advantage of this deal, you’ll have until Thursday, February 14 to book. 1. Visit the Skyscanner website. 2. 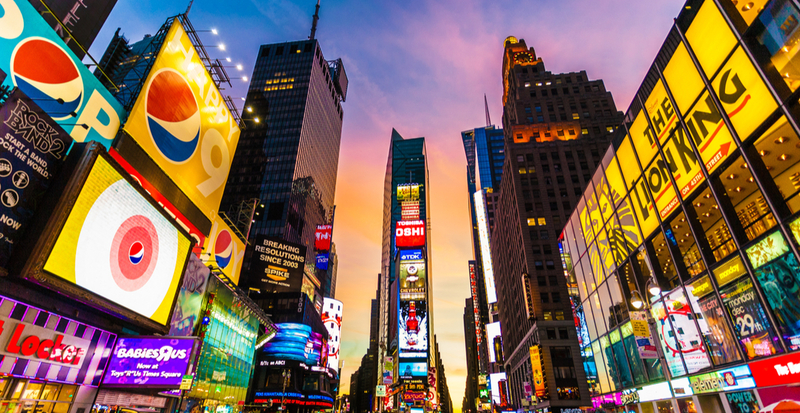 Select your departure and return location as Vancouver (YVR) and New York (LGA), respectively. 4. Proceeding to the next screen will open up a calendar view and give a full selection of dates and prices. Keep playing with the dates, as you can book trips to be anywhere from four to seven (or more) days.